Limousin is a land of lakes and legends, of enchantement and mystery, of the wild and the free. 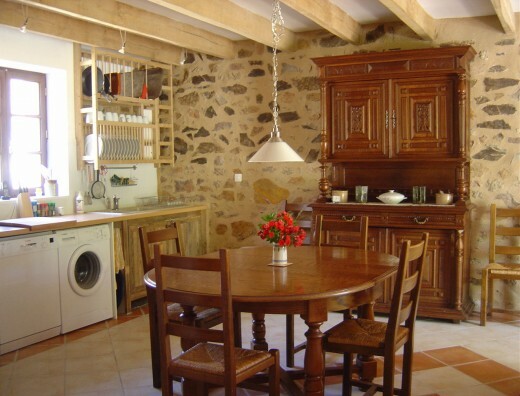 Known as 'Hidden France' because, though beautiful and steeped in history, it is undiscovered and so, unspoilt. 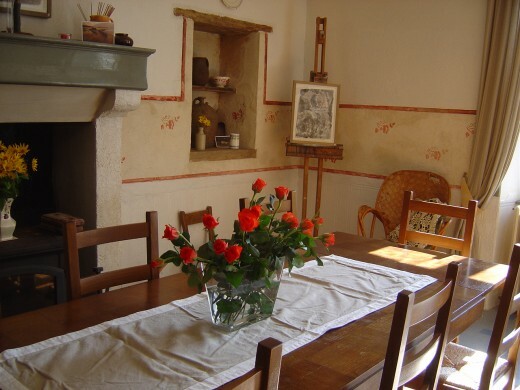 Here you can enjoy all the ambiance of France, the wine, the food and sunshine, but you can do it on empty country roads bordered with cowslips and the early purple orchids. 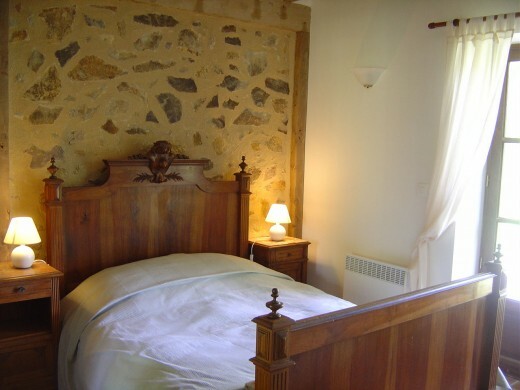 We have lived in Limousin, creating Les Trois Chenes Bed and Breakfast, for seven years now and have only begun to discover a fraction of the treasures of this region! 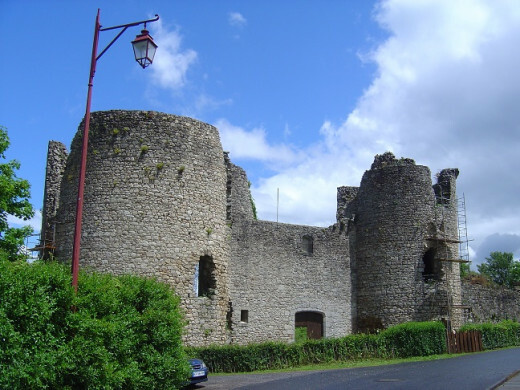 I have only just realised that the nineteen Castles and ancient monuments on the Route of King Richard the Lionheart are all within an hour and a half drive from us, and 18 are within an hour. 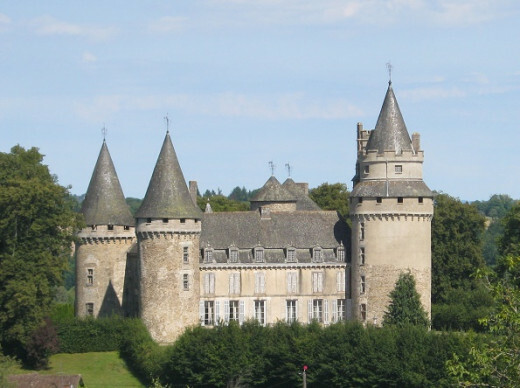 The nearest castle to us is Rochechouart. 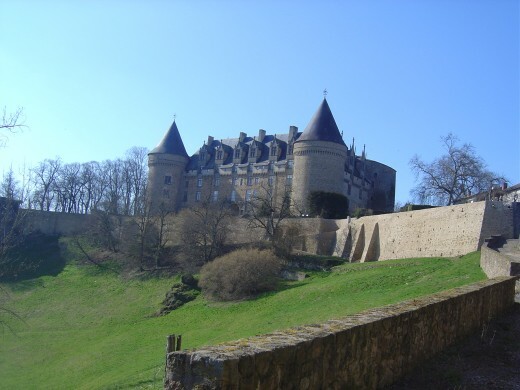 Nor does this include the castles of the nearby Charente and Dordogne regions or several other amazing historical sites! 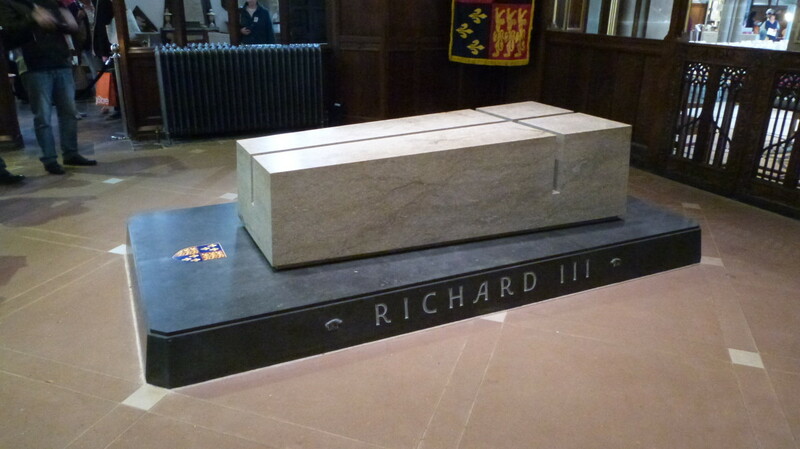 Richard was born in Oxford, England on the 8th September 1157. He was the son of King Henry II, Plantagenet, King of England and Queen Eleanor of Aquitaine, France. He was invested as the Duke of Aquitaine in April 1169 in Poitiers, and this was confirmed in Saint Etienne Cathedral, Limoges. Together with his brothers he went to war against his father. When his father died in 1189, Richard became Duke of Normandy and then King of England. After crusades and turbulent skirmishes with the King of France, he was wounded on 26 March 1199 and died 6 April. 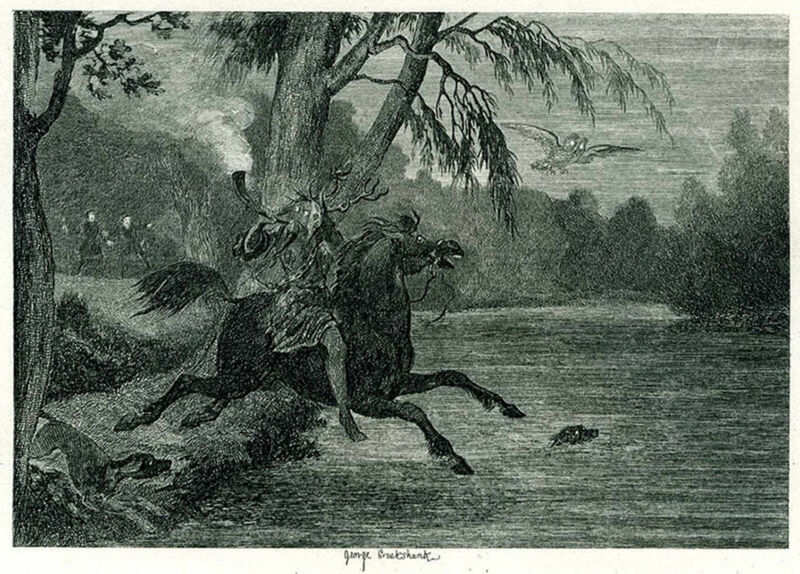 His heart was buried at Rouen and his entrails at Châlus, Limousin. What was left of him was buried at Fontevraud Abbey. What is the Route of Richard the Lion Heart? 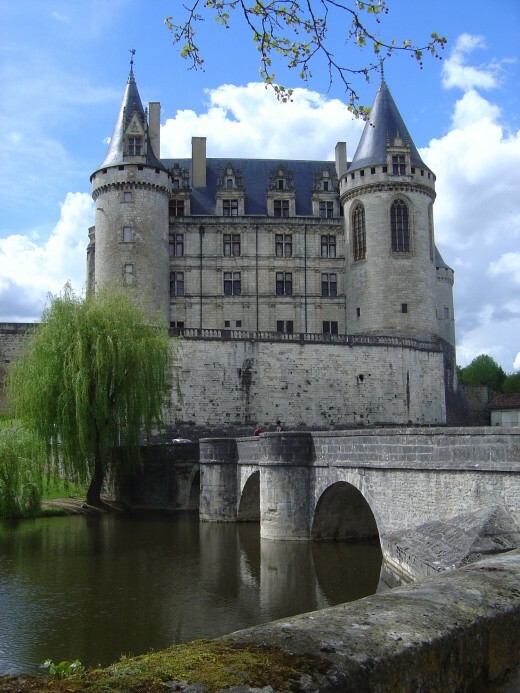 This is a route created in 1984 to link together the amazing castles, churches and historical sites of the Region of Limousin and bordering departements. This link was Richard. All the sites existed at the end of the 12th century and some of these formed a fortified barrier to the south of the region. A coat of arms was created - a crowned lion with an arrow through the heart - and this logo is used on a series of sign posts that clearly mark the route. The Castle of Rochebrune, 16150 Etagnac (GPS : 45.8959200000,0.7879700000). An 11th century fortified house and residence of the Princes of Chabanais. 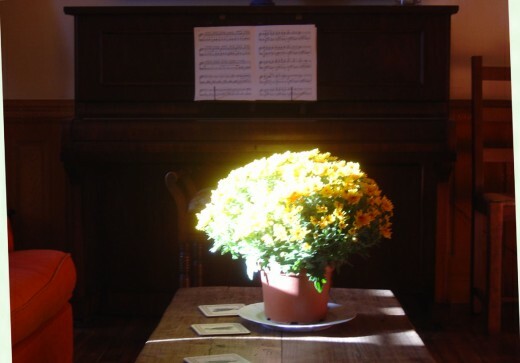 From 01/07/2012 to 31/08/2012 guided tours every afternoon, (except Tuesday) from 2pm - 6pm. Adults 6€ children under 12 yrears old 3€. Information: 05.45.65.26.69. Château de Montbrun A castle reflected in the water of its moat. If you dream of living in a castle like this - the dream could become a reality. This castle is for sale. 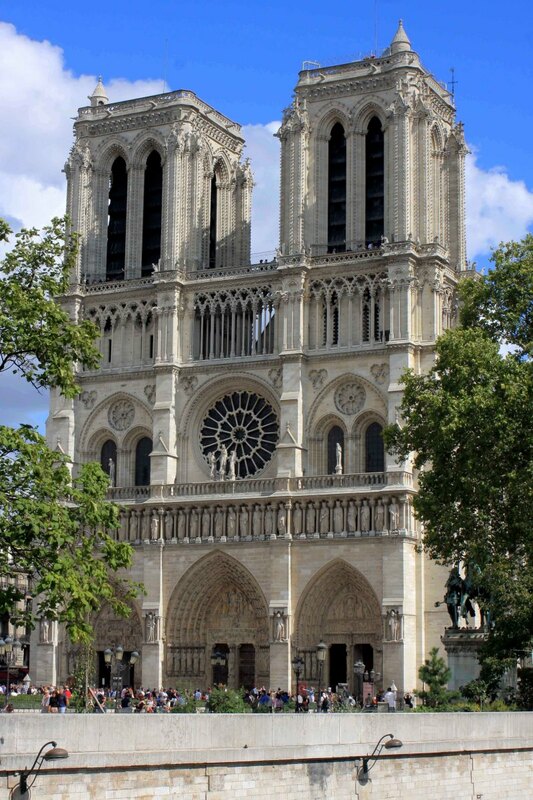 It was viewed by Angelina Jolie and Brad Pitt. Think you might like to buy? Click here. Le Cars The ruins of time! Le Chalard Jewel of Romanesque art, 11th century church is Saint Geoffroy’s hermitage where in 1088 he had a monastery and basilica built. There are Gold mining near by! Saint Yrieix Porcelain museum, gold mines,mediaeval enclosure, 13the century onwards church, 11th century library. 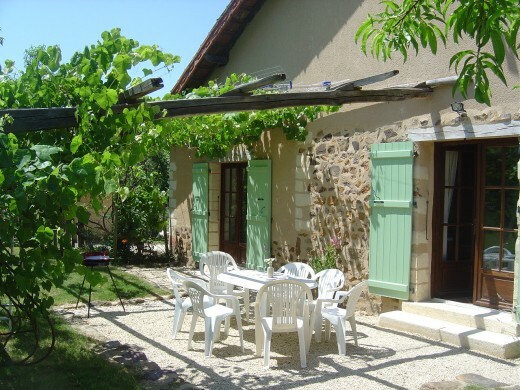 Seguire-Le-Chateau Listed as one of the most beautiful villages in France. Pompadour Fortress started 1026. Famous horse breeding centre and the National Stud farm of France. Chalucet This mediaeval fortress is a major feature of the Limousin’s heritage. 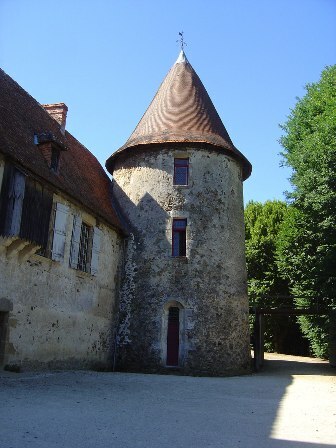 The oldest part dates from the 12th century – with famous Jeannette tower. Solignac One of oldest and most remarkable churches in Limousin. The Monastery was founded by Saint Eloi in 7th century. Limoges Granite cathedral. 1st religious building dates from the 3rd century by Saint Martial. 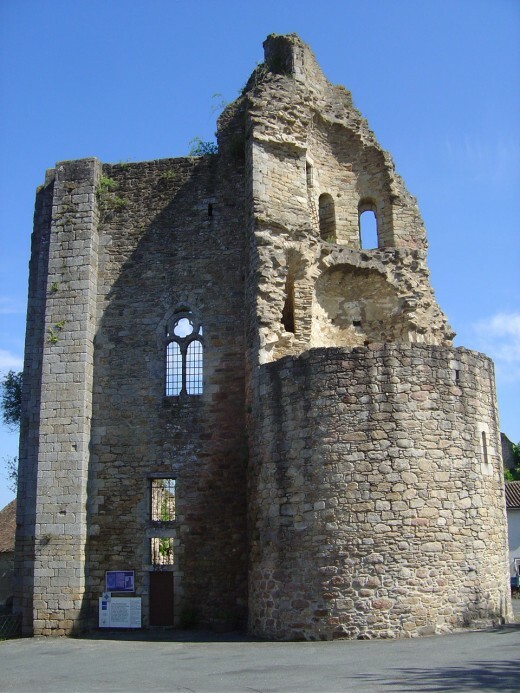 It was in the 11th century Romanesque cathedral that Richard the Lionheart was invested as Duke of Aquitaine in 1169. Museum of Métiers also near the cathedra. 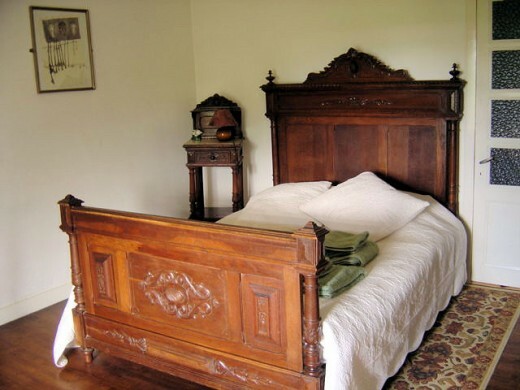 A fascinating museum devoted to the crafts. Chateau de Cromieres at Cussac. Cassinomagus An important Gallo - Roman site at Chassenon. They organise fantastic days when people dress up as ancient Gauls or Romans and show crafts, costumes, housing, warefare etc. Not well publicised but not to be missed! The Chateau de Peyras was found by the present owners forgotten and half-buried in the earth. It was covered with brambles and vegetation. 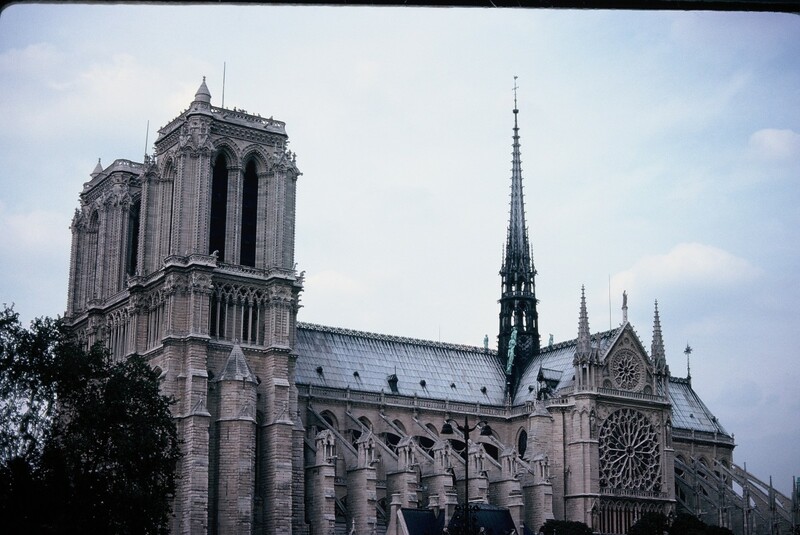 They have restored it and you can no take a tour guided by the owner himself. 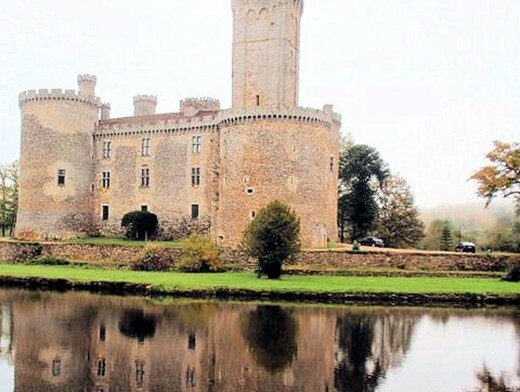 The Chateau of La Rochefoucauld in the Charente is only thirty minutes drive away from Videix. 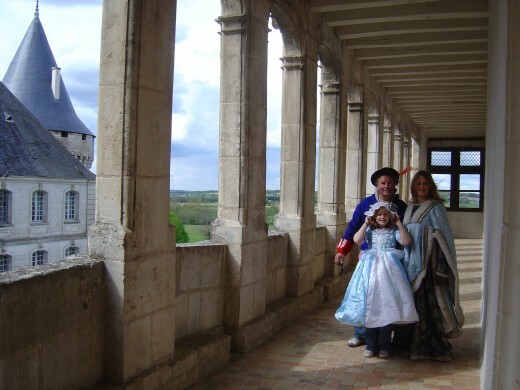 Not only can you visit this castle, but you can dress up in costumes and swan around as if you owned the place! A definite winner for children. Medieval costumes and medieval décor, with ideas to fit many occasions. Find Roman and Greek armor, weapons, accessories and more! 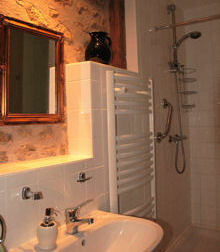 OFFICE de TOURISME 6 rue Victor Hugo 87600 ROCHECHOUART 05.55.03.71.72. Fax 05.55.03.71.32. Interesting site for anyone who likes history in general and the middle ages in particular. 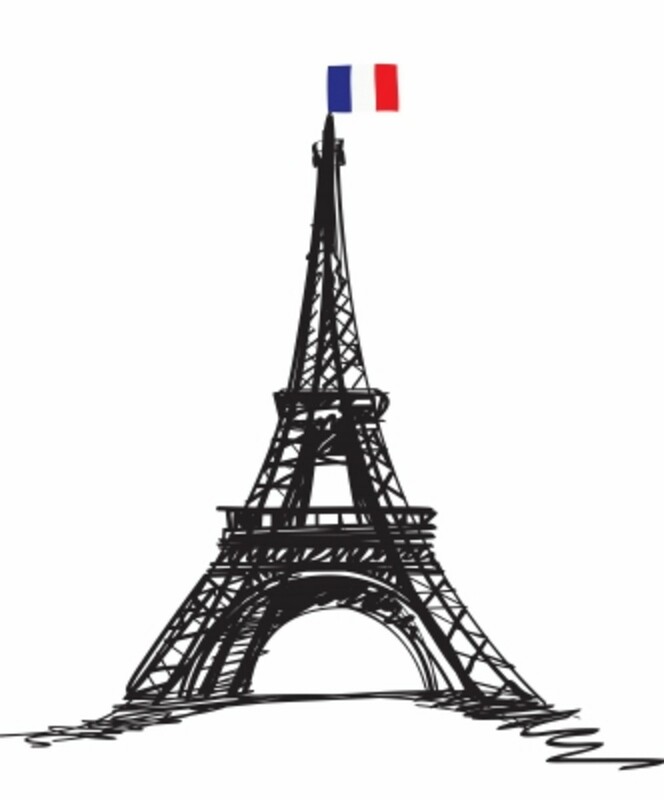 Lots of information, photographs, maps, events on this official tourist site. 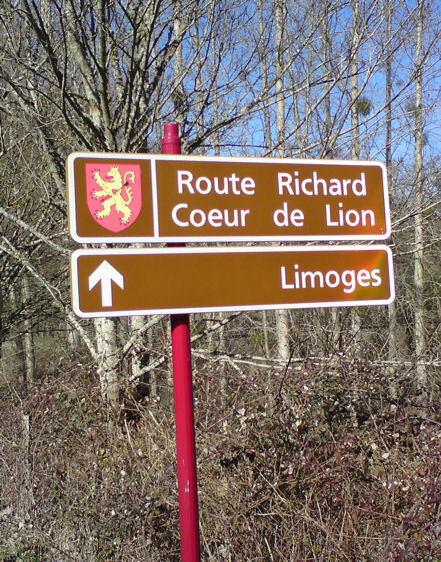 Have you heard of the Route of Richard the Lion Heart? Yes, I'm planning a trip and I'm coming to see you! King Richard Iii Reinterment - a Privilege Beyond What Dreams Are Made Of. Thanks so much for these kind words INFJay. Much appreciated. Your hubs are always an interesting read! Love the photos too. Yet another thing to add to my must-do list - thank you for an interesting hub, and the map really helps! I am pretty sure one or more of these have been used to appear in period movies. Thank you so much for leaving a comment. I must say that I have learnt a great deal about Richard and the period and didn't realise there was so much just on our doorstep.